> 1. when i use the "divide" sop for a polygon box,  divide>smooth polygon>weight.... since i want to have a variation for the "weight" apply to different surface of the box, i tried to type in expression like $PT+... , however, houdini do not allow me to do so. I then tried to use attribcreate for the "weight",still do not work. Take a look at PolyBevel as well. Maybe you can use a Resample Sop. Set it to "resample by polygon edge". Then use a Fuse Sop as the resample has split up the polygons. If you now use a Smooth Sop you will get curved lines on your box. 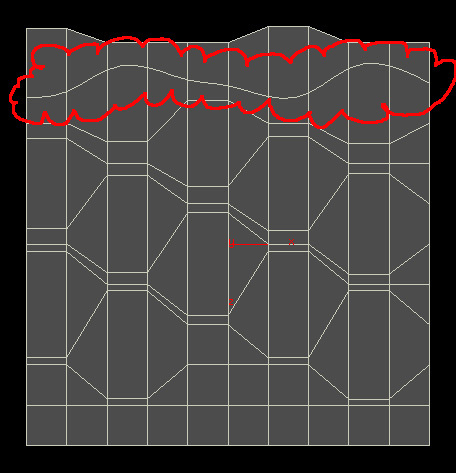 > 3. when i use "divide">convex polygons or "tristrip" sop, is there any way to control the trianglation directions at selected primitives? The reverse sop will reverse the vertex ordering within a polygon. Triangles in my quick test do flip after the reverse. 90 degrees around it own normal to calculate the alternative triangulation. was because I wanted a convex as possible mesh.